You have other questions? See our Terms and Conditions or contact us: a member of our team will be more than happy to answer you as soon as possible. Juris Reference is an online referral service offered by partner regional bar associations in Quebec. Juris Reference is free. It is also free from advertizing and does not include any hidden fees. 1. 1. Create your client account to get access to all updates regarding your case. 2. 2. Describe your case and send it to the Juris Reference network. In order to connect to the right lawyer that will suit your needs, be sure to describe the legal issue you are facing. Designed for lawyers, Juris Reference will ask you some specific questions that will help you to paint an accurate picture of your needs. The contextual form will guide you to the right lawyer with the right expertise for your case. Once you have filled out the form, Juris Reference sends your request to three lawyers that practice the type of law you need and are located in your region. It’s that easy! Where is my request sent to? Your request is sent to three lawyers that practice the type of law you need and are located in your region (field and sub-field of law, city, etc.). How long will it take before I get an answer? Your request will be sent to three lawyers that correspond to you criteria. You’ll receive either a confirmation email or an email indicating that no lawyer can take your case. How will I know if a lawyer will take my case? You will be notified by email as soon as a lawyer responds to your request. The two other lawyers will be notified that your case has already been responded to by a lawyer. Why have I not heard back from the lawyer that has agreed to take my case? Lawyers receive your complete contact information when they accept your case. However, just because a lawyer has accepted your case does not mean he or she will contact you immediately. However, if you wish to contact with your lawyer, log into your account to get his or her telephone number and/or email. Why should I use Juris Reference? Juris Reference is an excellent way to choose the right lawyer for your case. Our service guarantees that a legal professional, with all the necessary qualifications, will meet your needs. Juris Reference is a fast, easy, and effective way to find a qualified lawyer. What’s more: it’s free! How much does Juris Reference cost? Juris Reference is free for anyone looking for a lawyer. There are no hidden fees and no banking information is required. If I use Juris Reference, am I obliged to retain a lawyer’s services? No. If you search for a lawyer using our service, you are under no obligation to retain any professional services. You can cancel your request at any time. You are not bound by any contract. By using Juris Reference, you only accept to be put into contact with a lawyer. Juris Reference is an intelligent tool that helps lawyers to develop their clienteles across the province of Québec. It is also an online platform developed by lawyers—for lawyers. How does Juris Reference work? 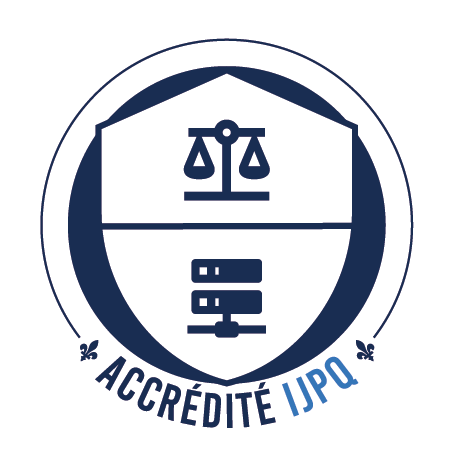 All lawyers are able to create an account with Juris Reference by using the email address that is associated with your Roll of Order membership with the Barreau du Québec. 1. 1. Create your profile and specify the type of law you practice. Before agreeing to take you on as a lawyer, a potential client is, indeed, interested in learning more about you. That is why we recommend that you create a public profile page. This page gives you the opportunity to present yourself, your background and expertise. 2. Receive detailed service requests from potential clients that are actively searching for lawyers in your field of expertise. Juris Reference helps your potential clients clearly define their case, thanks to a detailed questionnaire that is tailored to each sub-field of Québec law. Juris Reference’s questionnaires were developed by lawyers. Their goal is to simulate the first meeting you have with a client. As a result, not only do you receive requests from potential clients that have been filtered based on your settings but you also get all the information you need, from the onset, to determine whether the cases are right for you. Now that you have a list of cases you are mostly likely to be interested in, it’s now the time to contact potential clients to show your interest. Juris Reference will enable you to communicate with clients by directly accepting their cases on our website and subsequently contacting them. How much time do I have to contact a client? Three lawyers have been selected based on specific criteria determined by potential clients. The 3 lawyers must get into contact with potential clients within 3 days. If no lawyer shows any interest in a case, it is immediately archived and you will no longer be able to accept it. Be sure to accept cases quickly; once one of the other two lawyers accepts a case, you have just lost a potential client! Is it mandatory to complete a public profile? We strongly recommend to complete your public profile. This is a free and customized web page that enables potential clients to discover the services and expertise you offer. It will go a long way to promoting your practice and firm on the web. There are no fees for signing up for Juris Reference.